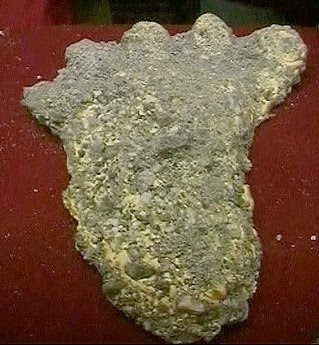 In 2008, Joshua Gates and his "Destination Truth" crew recovered a Yeti hair sample in Bhutan. The analysis reportedly came back as indicating "an unknown DNA sequence." Fast forward 4 years later and now rumor has it that Dr. Melba Ketchum's DNA study (currently in peer review) will finally prove the existence of the Yeti in addition to Bigfoot. "We have not been able to verify this rumor, but we have heard from several people that the Ketchum study also includes purported Yeti hair gathered by Josh Gates, apparently in Bhutan. We just heard it from someone very close to the study, so we think it is good. 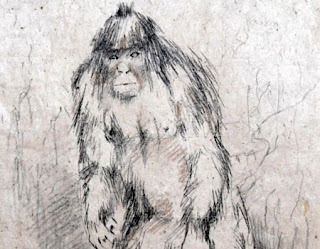 The Yeti hair tested as no known animal, not human, unknown primate. Not only that, but the Yeti sample was actually close to the nearly 100 Bigfoot samples. So not only do Yetis exist, but they are closely related to Bigfoots. 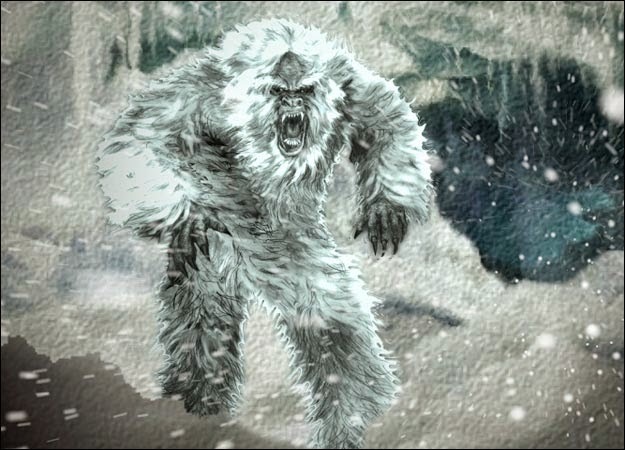 Some of us have always thought that Yetis were real, but lately, there has been a lot of skeptical research pouring cold water on the theory. The Wikipedia article on the subject says Yetis do not exist, and they are mythical. I think the Yeti is a bit of a different hominid from a Bigfoot in quite a few ways, but it appears to be a closely related species." In Destination Truth : The Yeti Episode, Josh Gates scales the snow-covered slopes of the Himalayas to track down the elusive abominable snowman - also known as the Yeti. In Los Angeles, Josh Gates assembles his team to head to the Far East and investigate the Yeti sightings that have been recorded for more than a thousand years. He chooses to bring along Casey, Brad and Araceli. They pack their gear for the flight to Nepal. After passing customs, they meet with Dr. Shrestha, the senior scientist for the Animal Health Research Division, who explains his suspicions that the Yeti is a once-extinct species that may have re-emerged. Based on reports and recommendations, Josh decides to investigate a valley where the most sightings have occurred. Aboard a cramped 30-year-old prop plane, they head to the village of Lukla and begin their four-day trek into the Himalayas. The most eventful part of day one is the sighting of a distant cow in the hills. On day two, near Mache, they find a retired Sherpa guide who was an eyewitness to a Yeti sighting. He directs them three miles to the west. That night, Josh leads his team into the tree-filled hills despite the sub-zero temperatures. They find a cave that has some sort of animal droppings by its entrance, but its interior is devoid of life. On day three, the thin air at 11,000 feet above sea level begins to slow the hikers. Dawa, their sherpa, takes them to a monastery that is said to have a Yeti head on display. Upon arrival, the party is welcomed - but their cameras are not. A monk threatens to throw a stone at Brad if he tries to bring the camera inside. That night, a mysterious woman comes to the team and says she will help speak on their behalf. Sure enough, the council of four leaders approves her entreaties and the team is permitted entrance to the monastery, with their cameras. Within a metal case is a glass enclosure that holds what might be a Yeti scalp. One of the elders explains they don the scalp to perform ceremonies to ward off evil. Brad asks for a single hair to perform DNA testing, but is rebuffed. Yeti or not, they're told, the people believe the artifact to be significant, and that should suffice for proof. Day four finds the hikers at a river within the valley. That night, they split up and begin hunting. A moving hot spot is picked up by the thermal camera, but the contact is too brief to be definitive. Closer to the water, a sherpa, Tul, finds a footprint. Josh is thrilled beyond belief when one perfect and two partial footprints are found in close proximity. He summons Casey and Brad to quickly bring the casting powder. They take impressions just before the evening mist turns to rain. Despite the wet weather, Josh has them fan out on both sides of the river to try and find additional evidence. They repeat the process at daybreak but find nothing conclusive. A helicopter retrieves Josh and his team and whisks them back to the airport. Much to Josh's surprise, word of his discovery has gotten out, and he's besieged by the international media. His discovery has made worldwide headlines. Josh brings the three castings to Los Angeles, and the first thing he and his teammates do is review all their recordings. Casey says he has enhanced and studied all the thermal images, but the moving hot spot can be identified only as "something organic" - a more definitive finding won't be possible. Josh then heads to the University of Idaho, where he meets with Dr. Jeff Meldrum, a renowned expert in footprints. He's impressed with the castings and has a three-dimensional laser scan made. The partial heel print is just about a perfect match for the full footprint, and the doctor rules out the likelihood that these were plants by someone perpetrating a hoax. Given the distance between impressions, he reasons the creature that made this was well over six feet tall and weighed between 300 and 400 pounds. He also rules out the prints belonging to a bear, because of the differences in markings and toe shapes. He then shows Josh how similar this footprint casting is to one of unknown origin taken in the Pacific Northwest, possibly made by a Sasquatch. Meldrum considers Josh's evidence a "significant discovery," which delights Josh.